My DuckDuckGo search came back with the names of several estate agents in my area, but King and Castle seemed to be the premier firm, not least because their advertisement said so. So, later that day I called into their High Street office and asked if I could see Mr King or Mr Castle to talk about my requirements. Mr King it transpired was in prison and Mr Castle, according to Saskia the heavily made up blonde haired girl who greeted me, was fictitious. Thus I found myself talking to a disarmingly young man called Matt Black. He wore a shiny grey suit and a grey knitted skinny tie. He fiddled nervously with an empire of desk accessories. I told Matt I was looking to buy a small town and asked him what King and Castle had on their books. He told me that there were not too many small towns on the market, because with other investments taking a tumble, small towns represented a popular option for the great and the good to invest their capital. The smart money was going into large plots of real estate, he said. In the last week, King and Castle had sold both Bridgewater and Bideford, Bridgewater fetching the full asking price. I looked at him aghast. ‘Bridgewater, really?’ I said. Twiddling his grey bullet pen, Matt explained that the cellophane factory that had been the cause of the notorious Bridgewater smell had recently closed. Bideford of course had been snapped up because it was in Devon. Devon was the cream of the crop when it came to mass freehold residential. Even Barnstable, the epitome of blandness, had sold within forty eight hours. Setting his Newton’s cradle in motion, Matt confided that he had Cheadle at £4,000 million and Yate at £3,000 million and also Didcot and Hythe, but he felt that at £5,500 million neither was realistically priced, and if I were to consider either of them he would recommend I put in a lower offer. I began scanning the details of Cheadle and Yate, but despite what Matt called ideal renovation opportunities, neither of them captured my imagination. Cheadle’s proximity to Manchester was not in its favour and Yate was just plain awful. I remembered the Crap Towns description of Yate, citing it as a hell hole, a mecca for chavs, goths, skaterboys and griegos. Didcot did look more attractive but there was the power station to consider. I understood Hythe being on the Kent coast, to be overrun with asylum seekers. ‘Or you might contemplate renting a small town,’ Matt continued, massaging the keys on his laptop. ‘Our letting agency has several to rent.’ He directed his delicate, manicured hand towards Saskia, who apparently was in charge of lettings. It was not a reflection of Saskia’s attributes or abilities that I did not look up. What would be the point in taking out a rental agreement on a small town? Matt could sense my apprehension. He tried a new tack. ‘I have here an interesting opportunity,’ he crooned. ‘And it has only just come on to the market. It is a fabulous little suburb. It has a quaint name, Toker’s End. Its on the fringes of a smart Regency town. And its a steal at £999 million. It has a bohemian feel, a cosmopolitan population, and a falling crime rate. And there are plans to renovate the derelict shopping centre. ‘You might even be able to get a 95% mortgage on it,’ he added encouragingly. I told him I might need to borrow the 5% deposit as well. I enquired what the repayments on £999 million might be. Taking out a calculator that looked more like something Scotty might use to beam up Captain Kirk, he started to press some buttons. He finally arrived at a figure. ‘£5,570,000 a month based on 25 years,’ he said. At first this appeared like a large commitment, especially as I owed £29 million on my Titanium card. I quickly regained my composure, at least I like to think that it was quickly, although when I came to, Matt was on the phone talking to another client. Saskia smiled across at me and carried on painting her nails. By the time Matt was free I had reasoned that although I owed £29 million, this had not stopped financial institutions pleading with me to borrow more, almost on a daily basis and it was impossible to use the internet without pop ups for loans appearing all over the desktop. Debt encouraged lenders. ‘Let me show you some pictures,’ Matt purred. 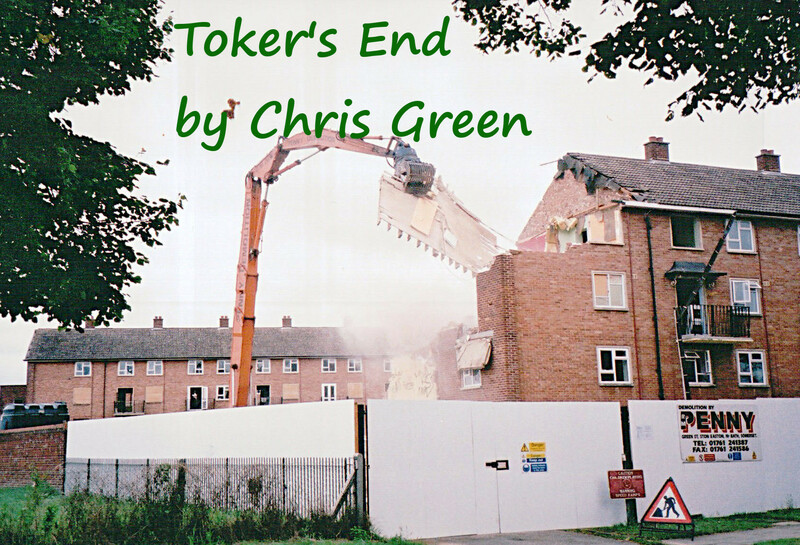 Looking at the virtual model of the estate on his laptop, I began to discuss with Matt what I might like to do with Toker’s End. ‘I think I might do the same,’ Matt chuckled. I began to wonder what had happened to the restraints on financial institutions that were brought in after the meltdown. You heard nothing now about sub-prime lending or due diligence. It was business as usual for the banks. Even if you were hugely in debt, there were few obstacles to buying a small town, well at least a suburb with an interesting name. Even my speculative plans for an airport it appeared could be easily accommodated. All I had to do was to say how much I wanted to borrow. Church attendance had been dropping for years. In the age of science and discovery, it seemed no one was able to swallow the fantastic tales of strife and salvation in the middle east as the basis for their belief. Stories like this might be OK for a fantasy novel, but not as the central creed for a major religion. Miracles about rising from the dead and walking on water did not fit well into rational twenty-first century thinking. As the result of several emergency meetings of the General Synod of the Anglican Church, it was agreed that the Bible itself needed a refresh. As it was a major doctrinal issue, there was resistance within the group, but the decision was eventually made to appoint someone to rewrite the Holy book. Tom Golfer had little published work, but decided to apply for the post anyway. He was astonished when he was selected for interview. He had expected the shortlist to be made up of serious doctrinal scholars. At the interview, in front of a panel of priests in colourful clerical clothing, he put forward some radical, even frivolous ideas. Much to his surprise radical thinking seemed to be what many of the Synod were looking for. Many of the stories in the great book were tired and redundant, they told him. It needed a new approach if people were to be drawn back into the flock. Tom pointed out that this in itself was a tired metaphor. Apart from a faction led by The Bishop of Bridgewater and The Bishop of Brighton and Hove, two notorious reactionaries, the Synod agreed that metaphors were one of the Bible’s major drawbacks. Interpretations of some of the big stories in the book had been a problem over the years. The story needed a more realist approach. Tom was completely overwhelmed when he was appointed. Just think, his girlfriend Natalie said, when he told her the news in the massage parlour that night, The Holy Bible by Tom Golfer. Modest as he was, Tom tried to play this down. ‘Perhaps I could drop in Stairway to Heaven,’ said Tom. ‘Or Heaven is a Place on Earth,’ said Natalie, continuing with her deep tissue massage. ‘Then you should make it smaller,’ said Natalie. ‘You know what? I think I will,’ said Tom. Tom set about the task with gusto. He jettisoned the Old Testament completely. All thirty-nine books were anachronistic. Darwin had all but seen off the Creation myth. It was now hanging by a thread, believed only by a handful of desperate die-hards. The books from Exodus onwards were at best an unreliable chronicle of a small part of the world. Even the more engaging stories of Moses, Jonah and Job had no relevance to people with no interest in Jewish history. The interminable scuffles in the Middle East in the present day were putting more people off the faith by the minute. No one wanted to read any more stories about the troubled region than the ones that they were fed daily on the news. The idea behind the new Bible would be to show a good person living a good life and passing on wisdom of how people could get along with one another and share. There would be no place for war and suffering in the narrative, so Tom decided to move the action to Scandinavia, a relatively peaceful part of the world. 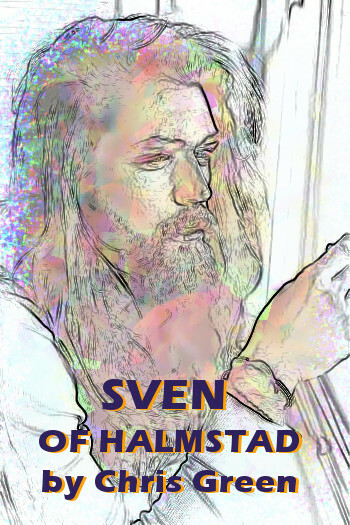 He replaced Jesus of Nazareth with Sven of Halmstad. A majority of the Synod had agreed with him that the virgin birth was a big stumbling block to credence of the New Testament. So, Sven of Halmstad was, in the words of the hymn, begotten not created. Tom, however allowed God no part in his begetting. Sven’s parents were Axel and Alva Jorgenson. Both of them were lumberjacks. Sven, like Jesus, was a carpenter. He made log cabins and stylish furniture for the poor at very reasonable prices. Sometimes, if a particular family was in extreme need, he would build them a home and furnish it for nothing. In his spare time, he helped out at a hospital, one of the very first hospitals in fact. He also ran a small rescue centre for animals. Sven had an outgoing personality and got along well with everyone he met. He had a natural talent for communication and spent hours giving speeches in the town square in Halmstad. He rallied against the iniquities of the political system of the time. He spoke against the idea of fighting and about the benefits of helping others. He talked about respect for all living things and the importance of being in harmony with mother earth. ‘Where there is love there is life,’ he was fond of saying. ‘Anger and intolerance are the enemies of understanding’. His maxims and aphorisms were easy for people to understand. They were not hidden behind metaphor. Word about the wisdom of the great man spread rapidly. His speeches drew hundreds of people, all anxious to follow in his footsteps. They came from as far away as Gothenburg and Malmö to listen. One time, a group of merchants came by boat from Copenhagen and inspired by Sven’s speeches vowed to reduce their prices and give all of their profits to worthy causes. His plain speaking won people over. There was a difference of opinion about whether Sven should have a bloodline. Should he be a one-off messiah selflessly eschewing personal relationships for the greater good? Or, in this day and age, would painting him as a loner with no family make him come across as being a bit weird? Tom reasoned that even though he would not be the Son Of God as Jesus had been, the strength of his message alone would be enough to set him up as the saviour. He would be the perfect role model. He would bring about a caring peaceful society. After a few exchanges with the Synod, Tom took the bold step of allowing Sven to be married and have children. His wife Frida would stay in the background quietly doing good works in the community. His children, Björn and Benny would go on to form a musical ensemble writing inspirational madrigals. To be credible, the new Bible story had to give the impression that it was written long ago. Recently rediscovered perhaps by an eminent Canterbury historian. Tom also needed to create a history of the book to put in the introduction, and explain how it had been superseded by the King James bible. He made it clear that although it did not happen overnight, Sven’s philosophy was established as the preferred viewpoint of the time. People became considerate and kind. They loved their neighbours and did unto others as they would be done by. Whenever there was a hint of trouble or dissent, Sven and his righteous followers managed to overcome it without bloodshed. Within Sven of Halmstad’s lifetime (he lived to be 104) a consensus was thus achieved all over Scandinavia. The word spread over centuries until ruthless reformists replaced it with dissident Christianity in the latter middle ages. Despite having to accommodate Sven’s longevity, Tom stuck to the plan that the new Bible needed to be shorter than the old one. It had to take account of the reduced attention span of the Internet generation. More people would be likely to read a slim volume than a weighty tome. ‘If you drop it on your foot, it should not leave a bruise,’ he would joke to the Synod when he reported back to them. Apart from the Bishop of Bridgewater and the Bishop of Brighton and Hove who were trenchant in their views on unwieldy Bibles, the voting members agreed with Tom’s line of reasoning. Some altar Bibles held the potential to be especially damaging to the metatarsals should there be an accident following an indiscretion with the communion wine, they told him. They wanted a handy pocket version that you could pull out when travelling on the tube and an eBible that you could read on your smartphone. Tom explained that his new Bible would also be the right length for a forty-seven minute dramatisation for broadcast on commercial television. The old Bible, Tom had calculated would take twenty-six days, without the adverts. The Creation alone would take six days to broadcast, or seven days with adverts. The costs for the CGI for a production like this would be colossal. Tom didn’t need to convince the Synod on this. They were already sold on the idea. The old Bible was out the window. ‘We need to be able to stop people from channel hopping during the adverts,’ he told the Bishops. Tom put the final touches to the new Bible and submitted the draft to the General Synod. It came in at around 30,000 words, slightly shorter longer than Charlie and The Chocolate Factory but shorter than The Lion, The Witch, And The Wardrobe. The King James Bible is nearly 800,000 words, much more difficult to slip into the back pocket of your Levi’s. In a last minute display of caution, the Bishops told Tom that they would need a little time to proofread it before publication and think about cover illustrations and the like. Although they were extremely grateful for the tireless work he had done, they confided that he was unlikely to get a byline. The Holy Bible by Tom Golfer might be a step too far. After all, this was a divine work. Tom wondered if the tide of opinion might be turning. He had heard rumours that Bishop of Bridgewater and the Bishop of Brighton and Hove might be winning support for their conservative stance. All along, they had branded his text a work of fiction. He had responded by saying that there was nothing wrong with that, as the old one had been a work of fiction. He wondered whether this flippant comment, from a layman, might have come across as arrogant and sacrilegious. Perhaps he should not have added, ‘a mix of horror, science fiction and the paranormal.’ He could see the hallowed faces drop even as he said it. Were one of two of the moderates now having doubts about publishing a new Bible written by someone from outside of the Church? Tom didn’t dwell on the thought too much. Thanks to a generous advance, he was able to take an extended break, and Natalie was able to give up work at the massage parlour. He is still awaiting word on the publication of the Tom Golfer Bible. Keep an eye out for news about this and other Sven of Halmstad merchandising and spinoffs, but if you do not hear anything, it could well be that the two Bishops have gained sufficient support in the Synod to scupper the idea. In which case, for your spiritual solace, you may have to listen to tales of the supernatural from ancient Judea at a church near you for some time to come.